Connemara West plc is a community owned and managed rural development organisation, which is in the parish Of Ballinakill in North West Connemara. Its geographical footprint includes the village of Letterfrack, Tullycross, Tully in Renvyle, Moyard and Kylemore. The area has a history of locally initiated development, which began in the 1950s with the building of a local playing field in Tullycross. Through volunteer labour, a sports field was created and officially open in 1957. Inspired by the success of this venture, the community immediately set about the building of a community centre or parish hall. It was again constructed by voluntary labour and the Marian Hall in Tullycross opened in 1959. In 1971, a group came together to establish Tullycross Credit Union. 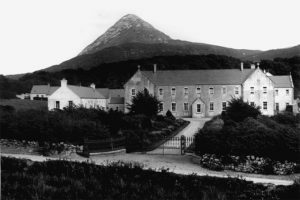 That same year, the Ballinakill Parish Development Company was set up to undertake a wide programme of economic, social, cultural and economic development, with the immediate aim of raising finance for a scheme of self-catering traditional cottages. In the following year, Ballinakill Parish Development Company became a properly constituted community council affiliated to Muintir na Tire, and throughout the 1970s it played a very active and influential role in local development. 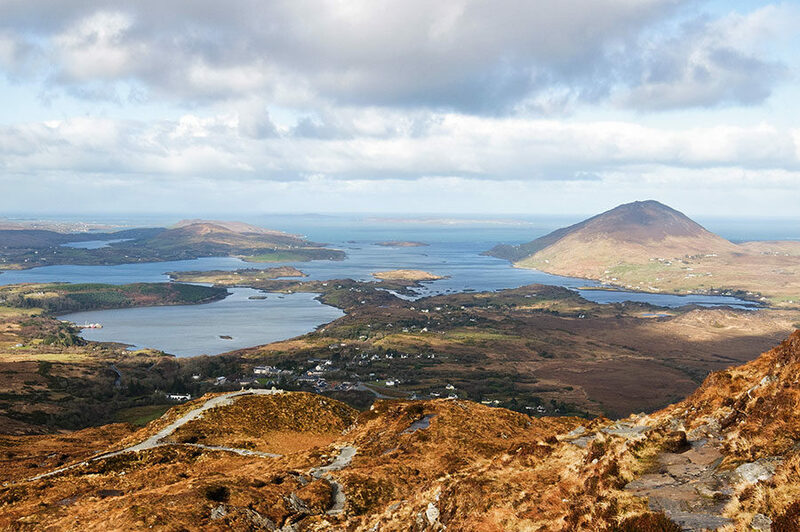 Among other things, it was instrumental in promoting shellfish farming and in the establishment of the Connemara National Park. The group was also interested in the Rent an Irish Cottage project, the criteria for which included scenery, adequacy of shops and the existence of an active village committee. The fulfilment of the criteria by Tullycross village prompted members of the local community to investigate the possibility of establishing such a project in Tullycross and started fundraising to make the concept a reality. To encourage local participation, it was decided to cap the total investment per person at £100. Almost 400 people made a financial contribution and a total of £13,000 was collected locally for the scheme. The balance came from Galway County Council, Western Regional Tourism Organisation, Bord Failte and a ten-year bank loan of £25,000. 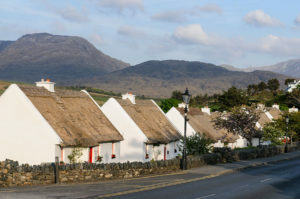 Connemara West was incorporated on 10th December 1971 as a non-quoted public limited liability company for the purposes of building and managing Renvyle Thatched Cottages. The cottages were built by local labour at a total cost of £70,000. Building works commenced in April 1972 and finished in 1973 and the official opening of the cottages took place in May 1974. The five local directions appointed to the Board of Connemara West were Paul Aspell, Malachy Conboy, Michael O’Neill, Joe O’Toole and Fr Tuffy and one member each from Galway County Council, John M Mannion and WRTO, Padraic Joyce. The first meeting of the Board was on 16th March 1972, when Malachy Conboy was appointed chairperson and Michael O’Neill was appointed secretary. The cottages were seen as a potential catalyst for future development and it was discussed at this very early stage that financial dividends should, if possible be retained in the future and invested in new projects. 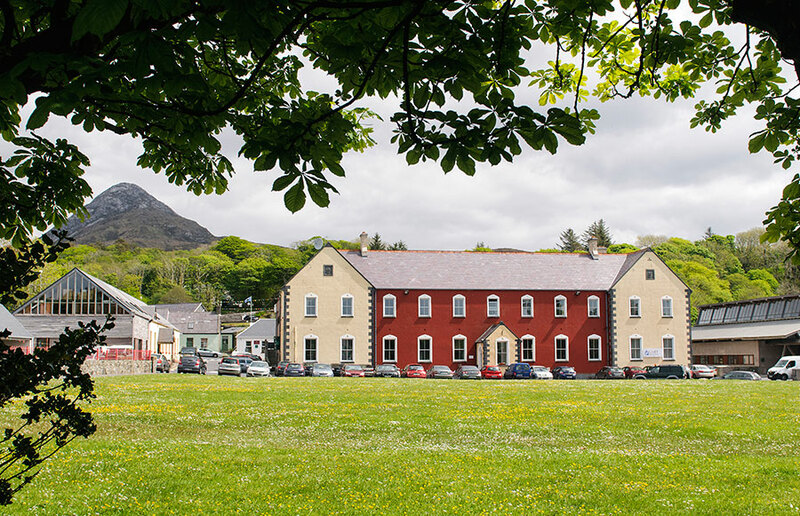 At an Extraordinary General Meeting of Connemara West on 8th April 1976, it was formally decided to proceed with the building of a Teach Ceoil in Tully village, and, with the help of a grant from Bord Failte, the Teach Ceoil was built in 1977 at a cost of £17,000. The first Seisiún and the official opening took place on 5th July 1977. The Teach Ceoil has since functioned as a training centre for the traditional arts and during the summer months, Seisiún is held there, showcasing local musicians, singers and dancers. The third project undertaken by Connemara West plc was the purchase and development of the Letterfrack Industrial School in 1978. A government report in 1970 recommended the abolition of industrial schools and in 1974 the Christian Brothers vacated Letterfrack and the Archbishop of Tuam put the property up for sale. Most of the lands of the estate were acquired by the Office of Public Works in 1976 for the development of the Connemara National Park, with full support of the local community. Ballinakill Community Council decided that the building should be bought by the local community. However, as such as venture was beyond their resources, Connemara West was asked to investigate the feasibility of its purchase. Following long negotiations, the purchase of the school was finalised by Connemara West in October 1978. A second issues of shares, a generous loan from three local families with a donation from the Guinness Worker’s Educational Fund provided the necessary finance of £21,000 required to purchase the property. Many of the original shareholders, along with 130 new subscribers, contributed to the project, bringing the total number of shareholders to more than 500. The property is now known as the Connemara West Centre. Because the Letterfrack Industrial School buildings had lain vacant for almost five years, they were in a very poor state of repair and extensive renovations had to be carried out over a period of years. 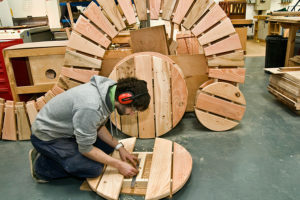 In 1983, a Woodskills programme, sponsored by the then Youth Employment Agency, was begun and this programme evolved into a partnership between Connemara West and Galway Mayo Institute of Technology in 1987, leading to the establishment of The Furniture College, Letterfrack. 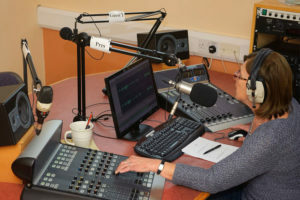 In 1995, Connemara West obtained a broadcasting licence from the IRTC and in July of that year Connemara Community Radio, managed by its own board of voluntary directors and staffed by approximately 70 volunteers, was launched. 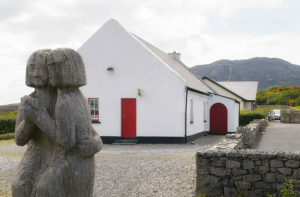 The Connemara West Centre now houses The Furniture College, Connemara Community Radio; Community Library, Social Centre, Furniture Technology Centre, Forum Rural Development Project, Local Writers Group, Youthreach Training Centre, and Letterfrack Farmers’ Co-Operative.